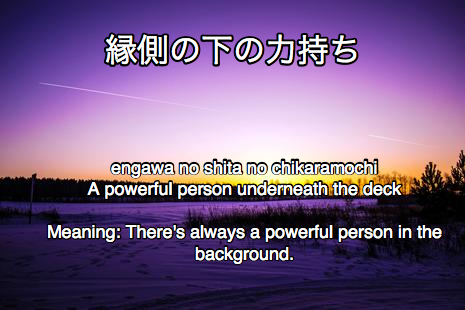 October 11, 2014 by The Junkie 0 comments on "List of Japanese Proverbs – 40 Proverbs. 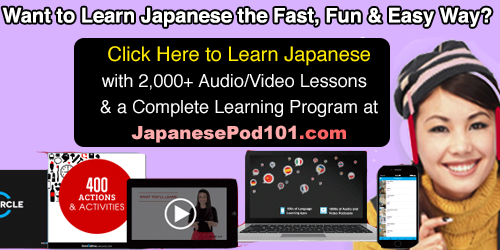 Part 3"
Learn Japanese with Japanese Proverbs & Sayings. Part 3. 31. 下手があるので上手が知る – Heta ga aru node jouzu ga shiru. 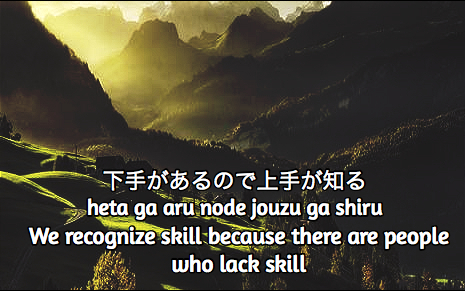 Meaning: We recognize skill because there is lack of skill. 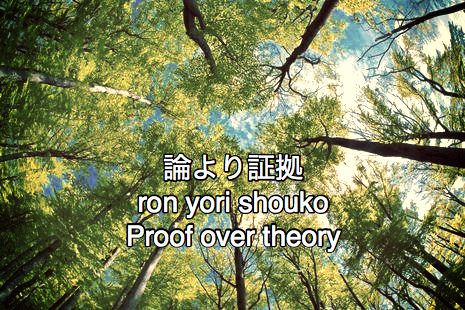 This is a Japanese variation of Sturgeons law (ninety percent of everything is crap) in proverb form. Because there’s a lack of skill all over the place, skill and talent are easy to see. 32. 明日は明日、今日は今日 – Ashita wa ashita, kyo wa kyou. 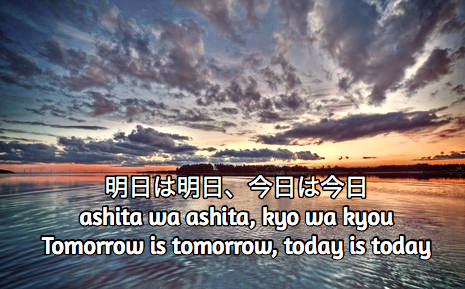 Meaning: Tomorrow is tomorrow, today is today. Worry about today, because tomorrow will come tomorrow. Priorities first. One day at a time. That type of thing. 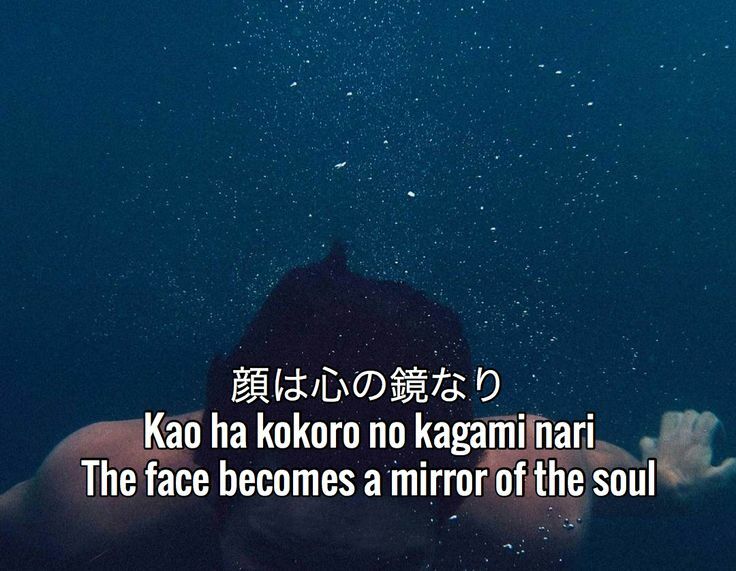 Meaning: The face becomes a mirror of the soul. What? You can’t judge a book by its cover? Well, you’d be surprised, your face (a.k.a. your cover) reveals a lot about what’s going on inside. 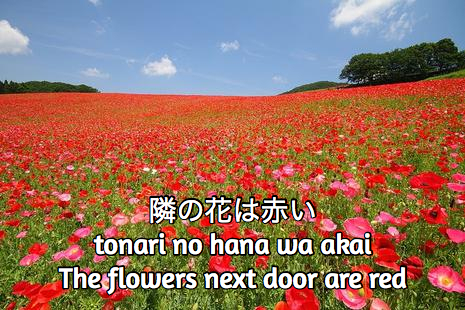 Meaning: The flowers next door are red. In other worse, the grass is greener on the other side. But in this case, it’s flowers, and they’re red. You jelly? Even the top has a top. 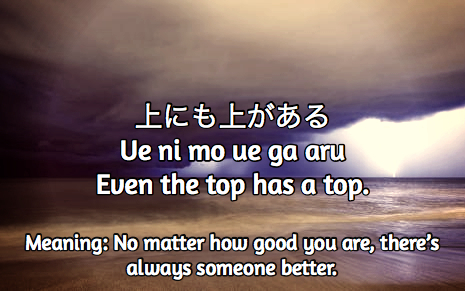 In other words, no matter how good you are, there’s always someone better than you. But, you shouldn’t be too worried about that. If there is a heaven, that is. But, preparation is important, heaven or not. 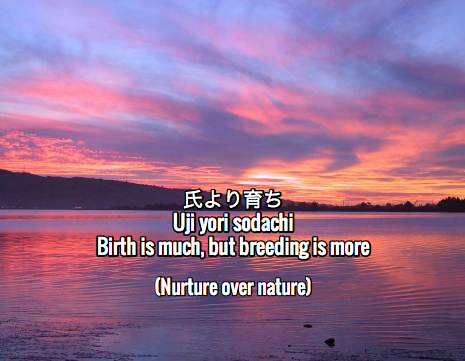 This is the Japanese version of “nature vs. nurture” except it claims that nurture, growth, or how you’re raised has greater influence on your development rather than your nature – or birth, genetics, etc. Well, more so, proof beats any argument, debate or discussion. There’s no point in arguing. Just present the proof and lets move on. 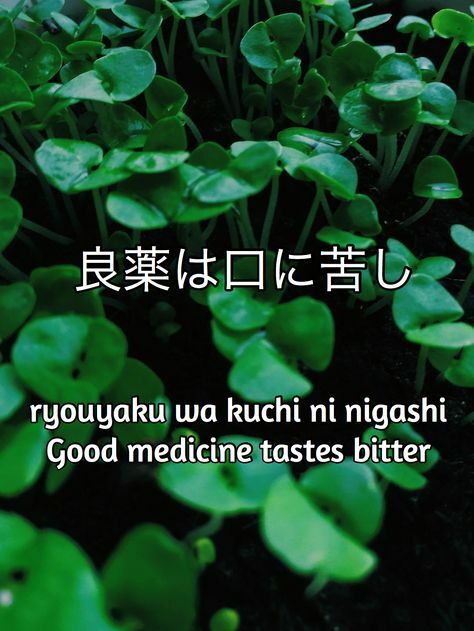 Meaning: Good medicine tastes bitter. Or, the best advice is the one you’re afraid of hearing. Tough love. And brutal honesty. And thus, effective/good medicine is bitter, if you wish to take it. Relevant: 苦い – Nigai (adjective) means bitter. What’s this mean? It means there’s always a powerful person somewhere in the background, making the decisions and pulling the strings. In this case, he’s under the porch or deck. This refers to the old style traditional Japanese homes that have an elevated deck/porch (see here). 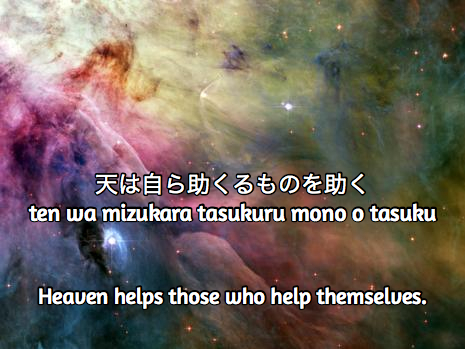 What are your favorite Japanese proverbs, sayings, idioms, etc? Leave me a comment, I’ll add more and be sure to share this article if you like it. Next Next post: Top 20 Russian Idioms, Proverbs & Sayings. Part 2.